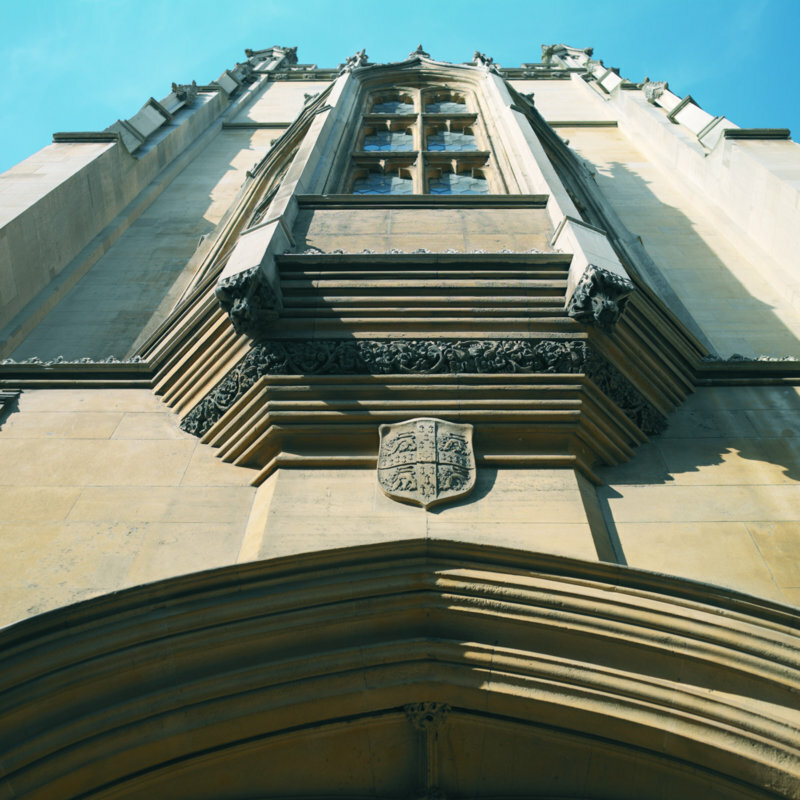 The Sedgwick Museum is housed in a beautiful building, but access to the museum is not easy for everyone. We are investigating ways to improve access for our disabled visitors, but in the meantime we are always willing to help visitors with mobility difficulties. Please contact us in advance of your visit and we will be happy to make arrangements to accommodate you. The Museum is located on the Downing Site of the University of Cambridge. The site is accessed through an archway from Downing Street, the Museum is signposted from the street. Once through the archway visitors should turn left and look for the sweeping stone staircase above the main entrance to the Department of Earth Sciences. The entrance for cars is on Tennis Court Road, but the car park itself is not open to the public. For visitors with impaired mobility, parking can be arranged on-site given sufficient notice. The nearest public car park is the Grand Arcade car park, accessible from Corn Exchange Street via Downing Street. The Museum’s main entrance is located at the top of a stone staircase above the entrance to the Department of Earth Sciences on Downing Site. 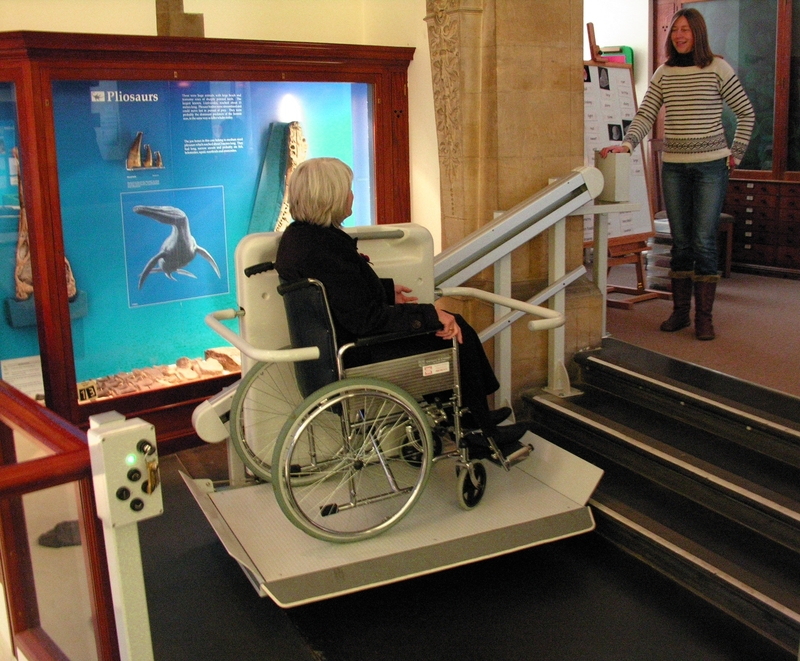 For visitors with restricted mobility there is a lift located within the Department of Earth Sciences which can be used to access the Museum. There is a ramp leading to the door located beneath Museum staircase. 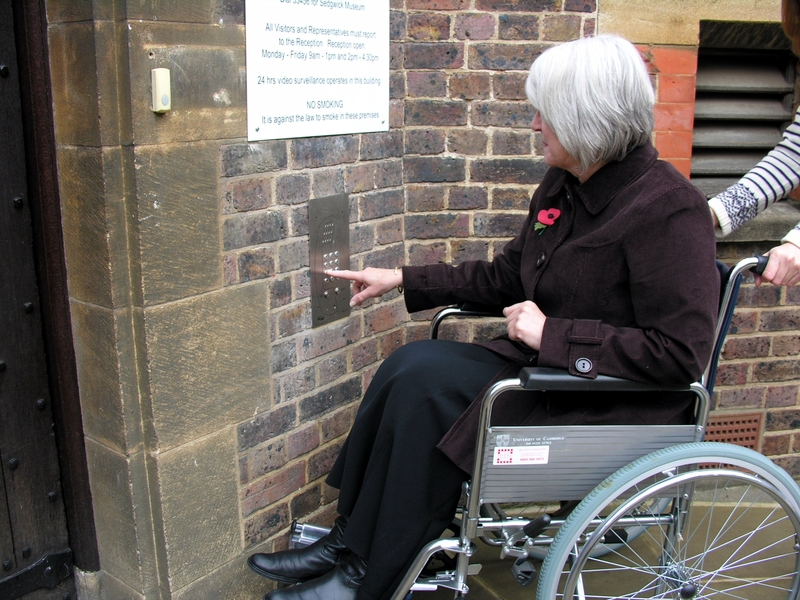 Visitors should use the intercom (see picture) to request assistance and a member of staff will assist you. The lift is not suitable for large buggies or large wheelchairs (the lift floor measures 105cm wide by 80cm deep, but the door is only 69cm wide). If your wheelchair or scooter will not fit in the lift, there is a folding wheelchair available that you can borrow. You must be able self-transfer or be accompanied by someone who can assist you. Platform lifts enable access between the split levels of the gallery. Instructions and a key to operate these lifts are available from the front desk. Please ask for further assistance if required. Ample seating is provided throughout the galleries. Further information on toilets, parking (including disabled parking), visual and hearing impairments can be found here.